Kazuo Nakata was born in Ishikawa prefecture in 1949 and got his first award at 25 years old. Since then, he has gotten tremendous acclaim using silver leaf in paint. 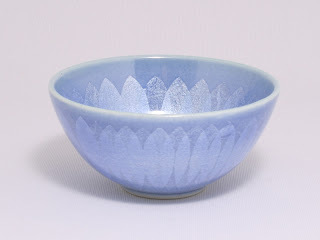 He learned under Yasokichi Tokuda III who is a Living National Treasure of pottery painting. Kazuo Nakata is one of the potters most likely to become a Living National Treasure. Because, current Living Treasures will choose the new Living National Treasure from holders of an Important Intangible Cultural Treasure title in any prefectures. He is still young and his master is Yasokichi III. 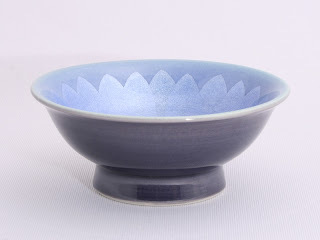 There are two Living National Treasures of pottery in the Kutani district. One is Yasokichi III, the other is Minori Yoshida. Minori uses gold leaf in paint. It is a similar technique. They want to choose the new Treasure from the same district. If he is designated a Living National Treasure, his works will be more expensive and increase in value. The works of Living National Treasures would not be decrease in value. 1990 The Agency for Cultural Affairs of Japan bought his vase. 1997 Awarded a grand prize at the Kutani traditional handcraft show and The Ishiwaka prefecture museum bought the work. 2001 Awarded a grand prize at the Kutani traditional handcraft show and the Ishiwaka prefecture museum bought the work.